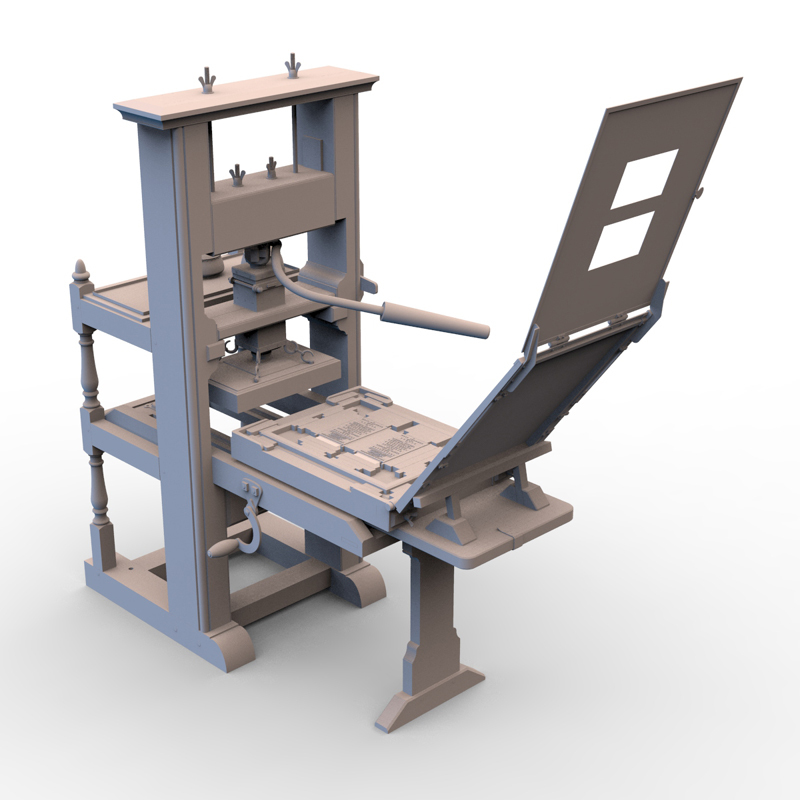 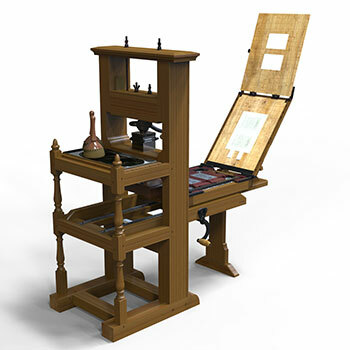 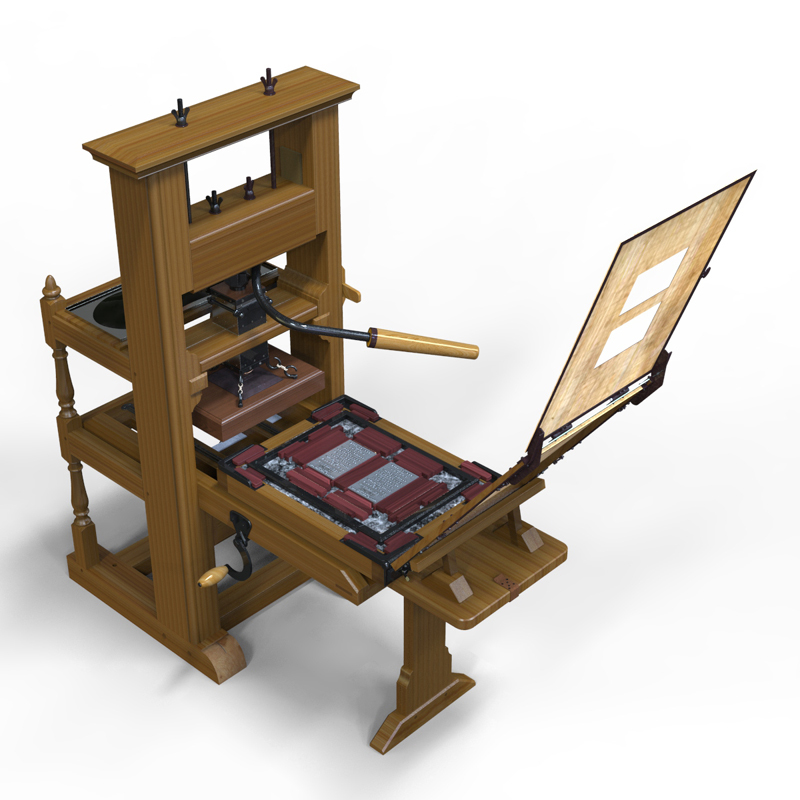 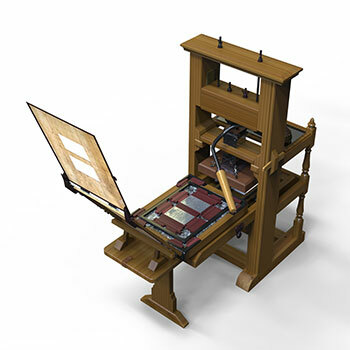 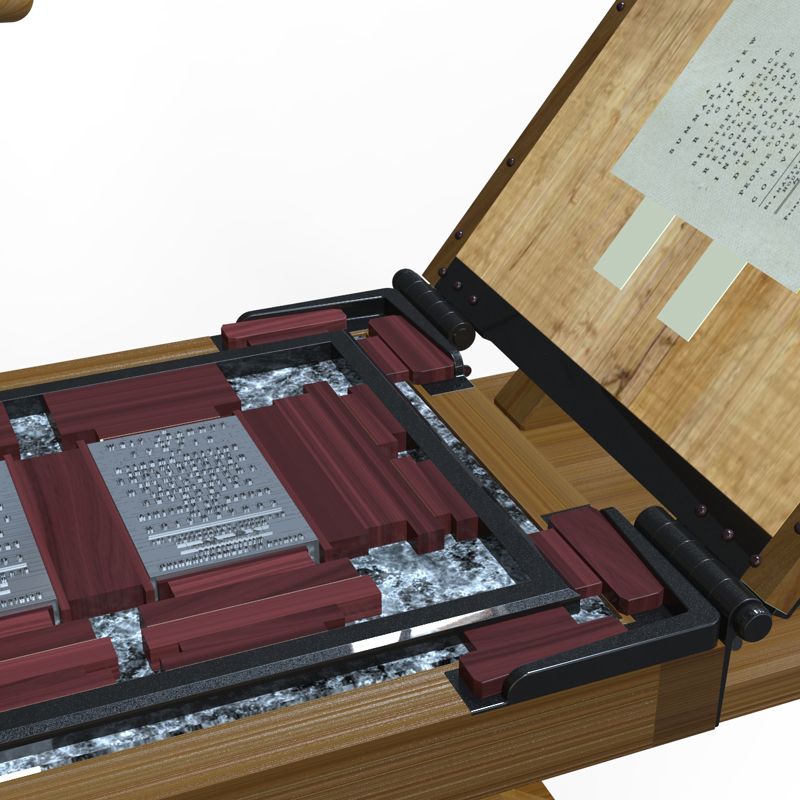 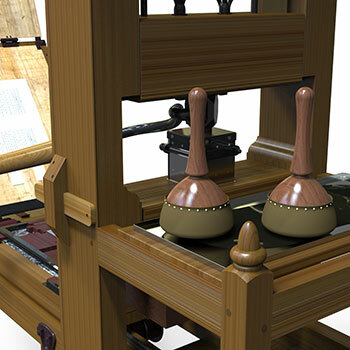 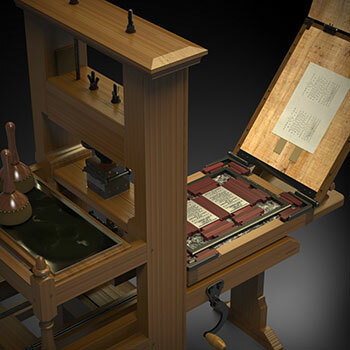 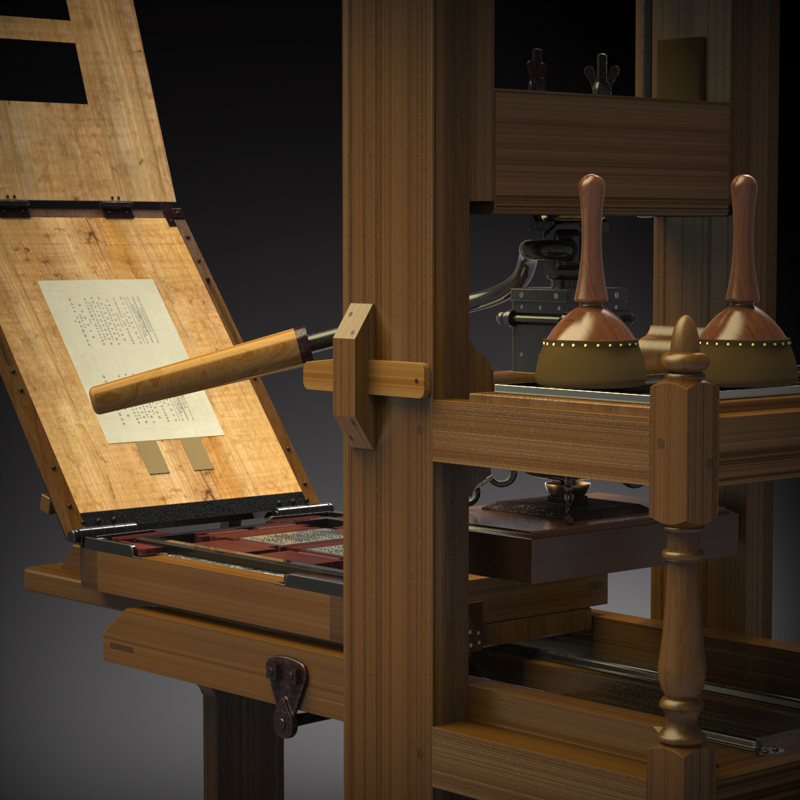 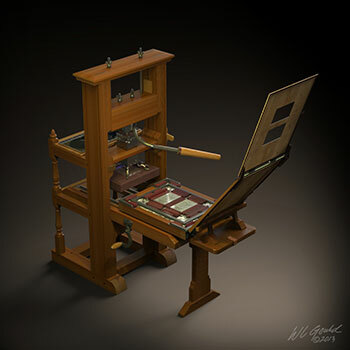 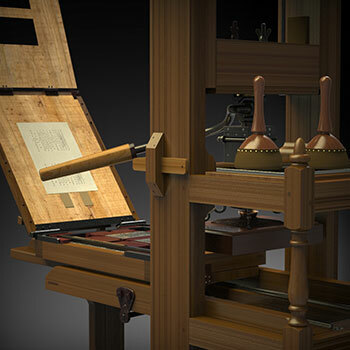 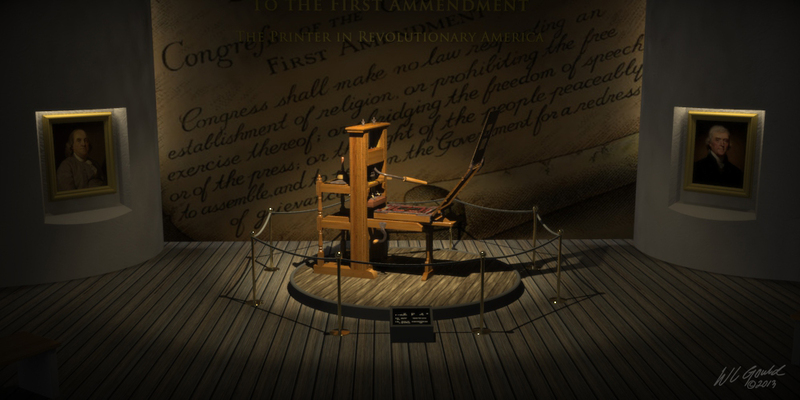 Accurate SolidWorks CAD model of the "Franklin Printing Press", also known as the "English Common Press", now in the Smithsonian Institution, Washington, DC, USA. 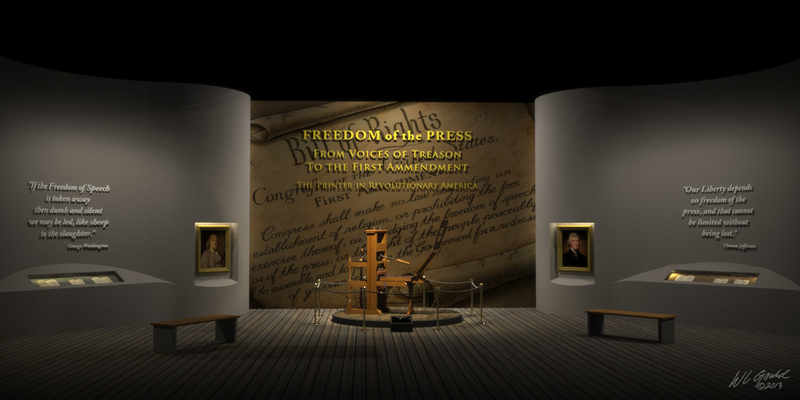 It is believed to be the press that Benjamin Franklin used while serving his apprenticeship in a London print shop. It is the type that was used to print the Declaration of Independence, United States Constitution, early paper money and other "broadsides" and commercial printing. 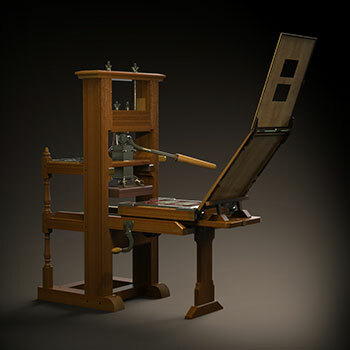 A common design, it was used in similar form from the late 1600's to the early 1800's. The SolidWorks™ CAD model was reverse-engineered from available documentation and period photographs. It is representative of my museum quality work in the field of Industrial Archeology (IA).